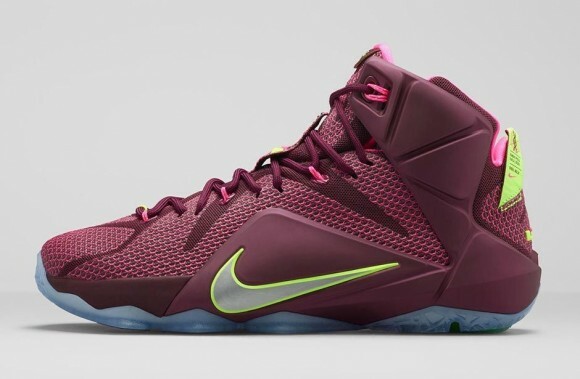 Although a few retailers sold ahead of time, the Nike LeBron 12 ‘Double Helix’ is now available at numerous retailers. The colorway is based on DNA strands (yeah science!) with more info written on the official look of the sneaker. The official colors for the sneaker are Merlot/ Volt/ Pink Pow/ Metallic Silver. 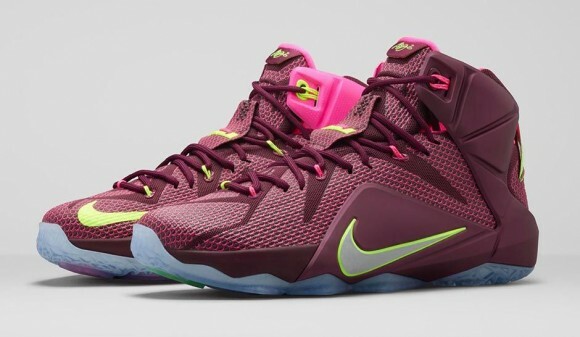 Click on any of the links below to purchase the Nike LeBron 12 ‘Double Helix’ for $200 and $160 for kids sizes. Saw them in person today. That pink is really pink. Like pepto bismol pink. The maroon is nice but they pinkish mesh on top was a deal breaker. I am looking forward to the Dallas Cowboy colored version on 3/14.